Posted by Aether under: Community News. Are you wondering what this is? 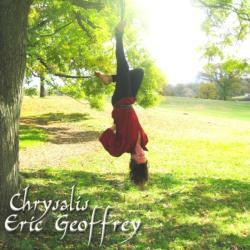 Chrysalis ~ The new album inspired by a growing Earth awareness from Eric Geoffrey is now available for download. Please click on the CD cover below and help support The Gaia Community College. The Gaia Community College is powered by WordPress, uses the Autumn Concept 1.0 theme created by Ed Merritt, and is best viewed with Firefox.